Best-selling American novelist Barry Eisler was an exceedingly precocious student in one of the first Rift Recon Art of Escape courses last year in San Francisco. Unbeknownst to us at the time, Eisler was not just hungry for knowledge - he was ravenous. 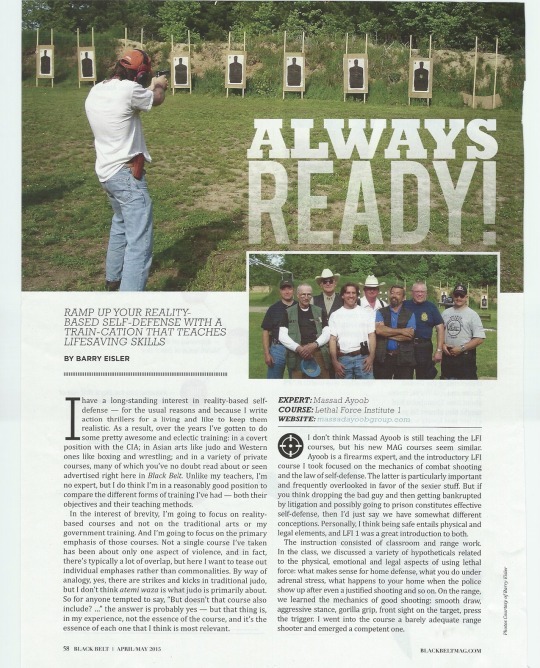 The Art of Escape was only one in a long series of defense and survival trainings that Eisler embarked on, and he recently published a comprehensive piece in Black Belt Magazine detailing his experiences. For the entire story, be sure to pick up a print copy of Black Belt or subscribe today!